SEPTEMBER 8, 2018 WEST MIDDLESEX, PA LIONEL MODERN ERA, MTH, WILLIAMS, LGB, BACHMANN AND MUCH MORE! 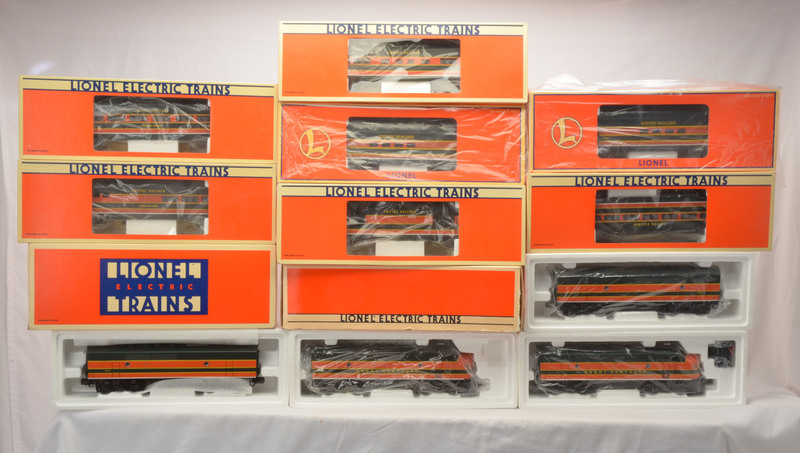 Home/Upcoming Auction/SEPTEMBER 8, 2018 WEST MIDDLESEX, PA LIONEL MODERN ERA, MTH, WILLIAMS, LGB, BACHMANN AND MUCH MORE! Stout Auctions is proud to present a one-day auction of trains and accessories from estates and private collections. This will be a very diverse sale, which includes many manufacturers and gauges. Featured are Lionel modern era, Century Club, MTH, Rail King, Williams, Right-of-Way, K-Line and Weaver. Also included will be LGB, Lionel large scale, Aristo Craft, REA, Spectrum by Bachmann and Delton. This auction offers all levels of condition including factory sealed, mint and bargain fixer upper lots for collectors, operators and dealers representing all budgets. For more information on this event please email katy@stoutauctions.com or call 724-528-1500. Please find listing of lots below.